The Count of Luxembourg. May 20th 1911. Lily Elsie plays Angèle Didier, a singer at the Paris Opera. 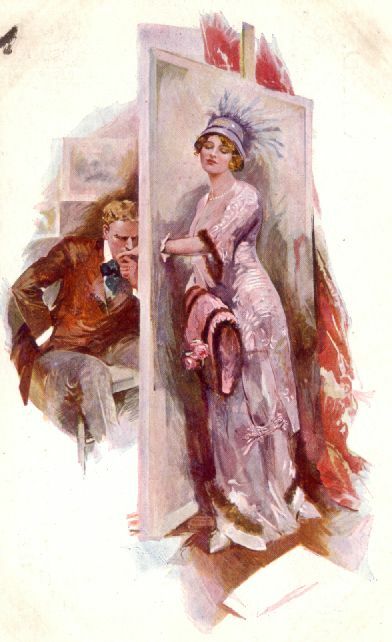 Her co-stars were Bertram Wallis, May de Sousa, W.H. Berry, and Huntley Wright. She left the show during the run and was replaced by Daisie Irving. 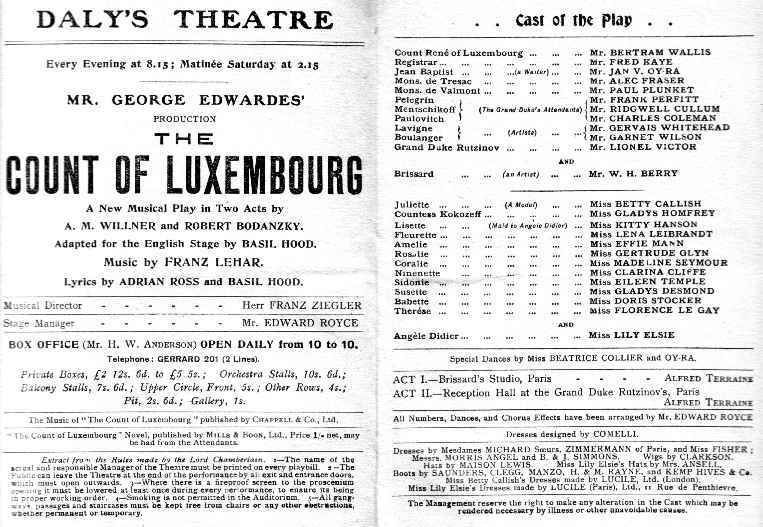 Lehar conducted the first performance, with King George and Queen Mary in the royal box. 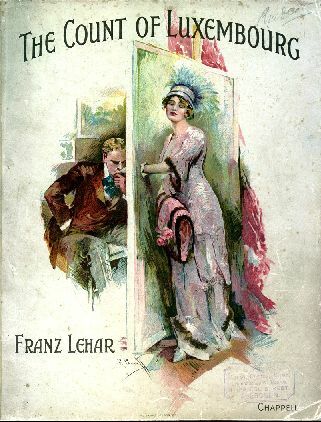 The musical score by Franz Lehar, published by Chappell. 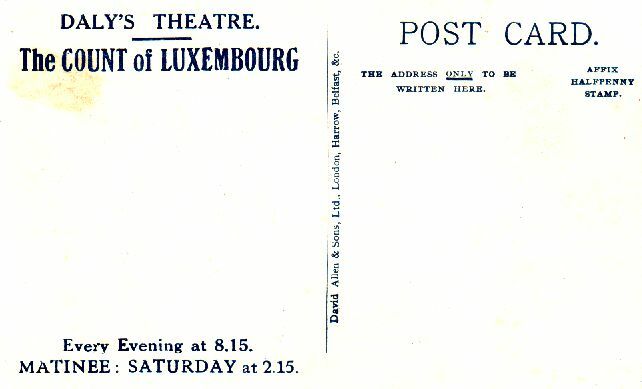 Advertising card for the show. Reverse side of same card.